Jeff Lemire’s latest written/drawn creative work since his award-winning Sweet Tooth series. This looks to bring back the dramatic, emotional feels of the rural, family conflict better remembered from his other well-known, award-winning story. Essex County. Overall, a promising read for the winters end, and into the spring reading season. 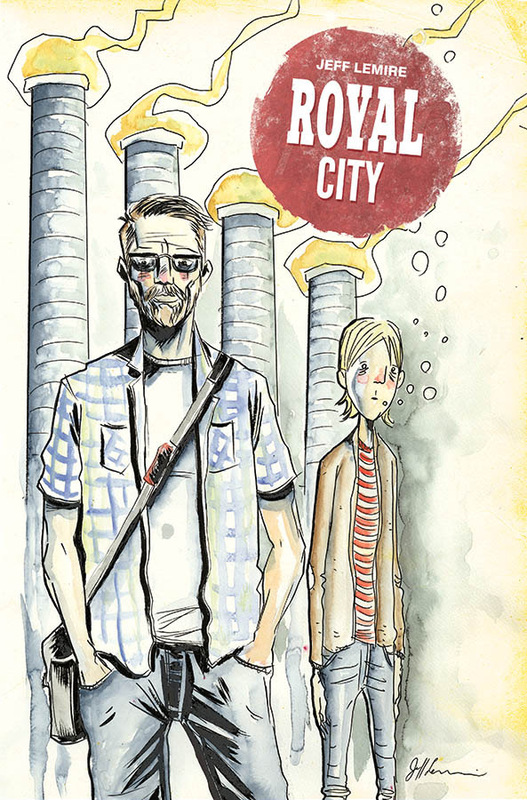 “ROYAL CITY follows Patrick Pike, a fading literary star who reluctantly returns to the once-thriving factory town where he grew up and is quickly drawn back into the dramas of his two adult siblings, his overbearing mother and his brow-beaten father, all of whom are still haunted by different versions of his youngest brother, Tommy, who drowned decades ago.